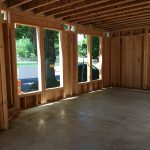 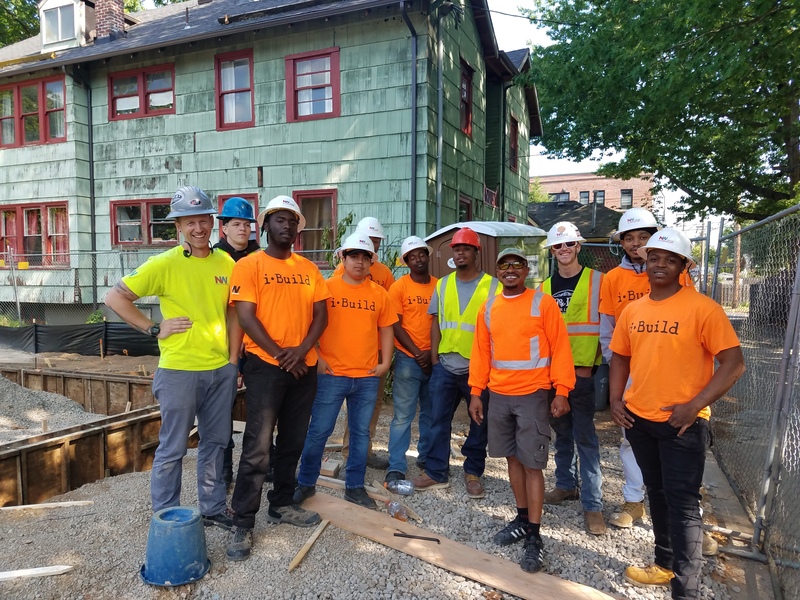 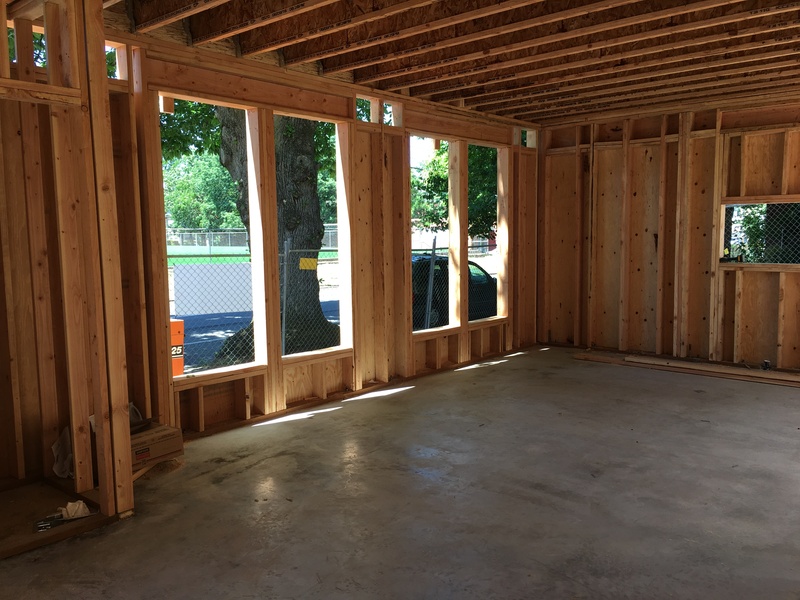 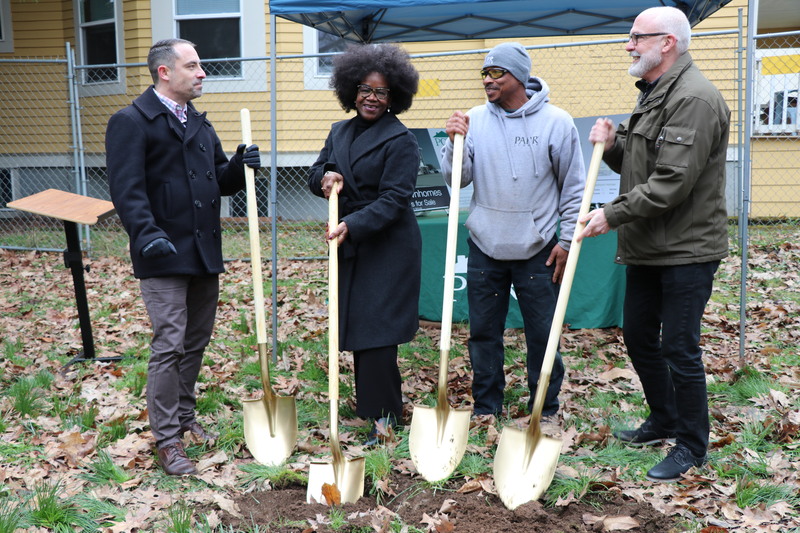 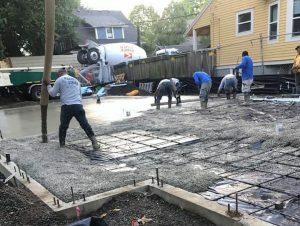 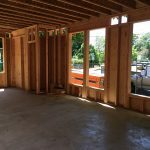 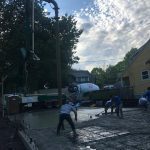 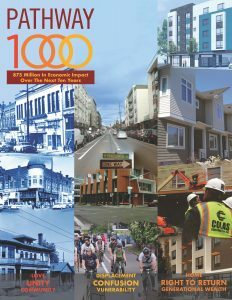 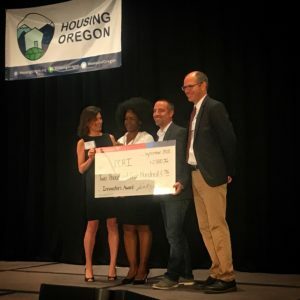 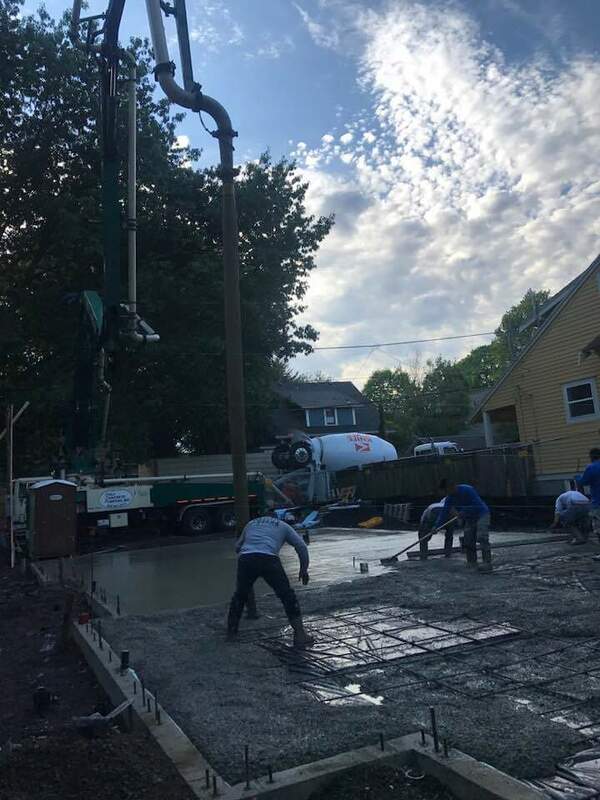 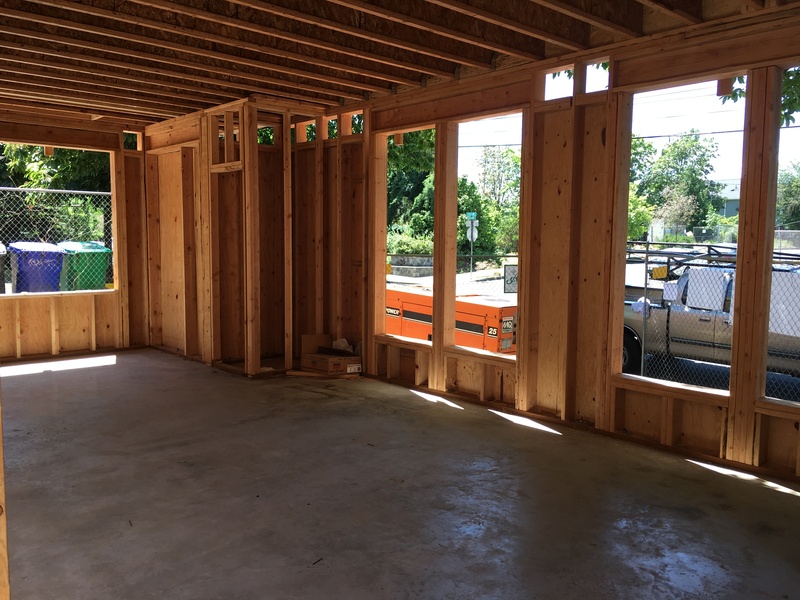 Portland Community Reinvestment Initiatives Inc. · Pathway 1000 - Portland Community Reinvestment Initiatives Inc.
Crews poured the homes’ concrete foundation and slab in May 2018. 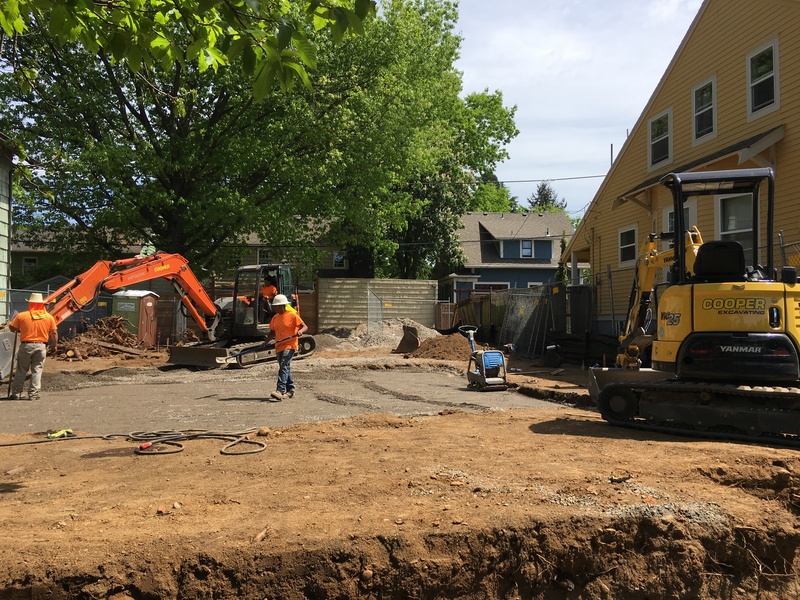 PCRI and Albina Construction began development of four new townhomes on N Williams Avenue in April 2018. 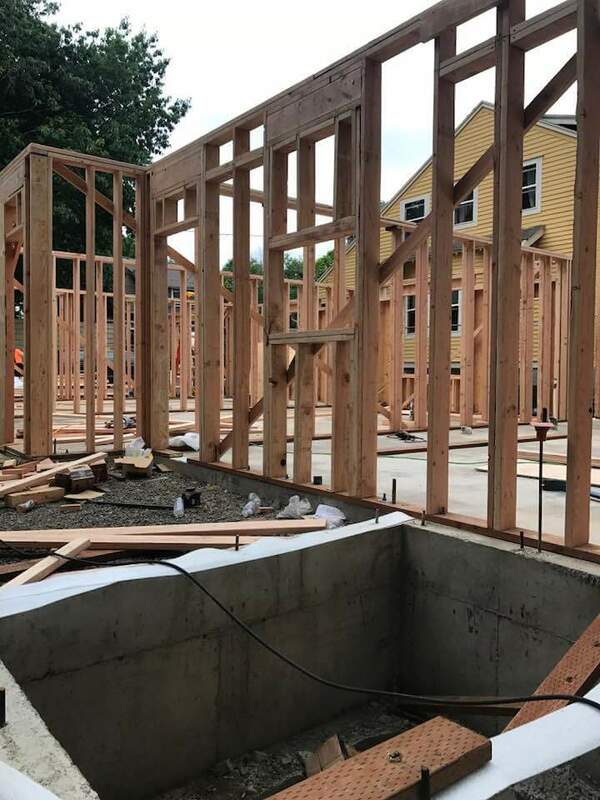 Construction of the new homes is proceeding briskly, with foundation and walls quickly taking shape. 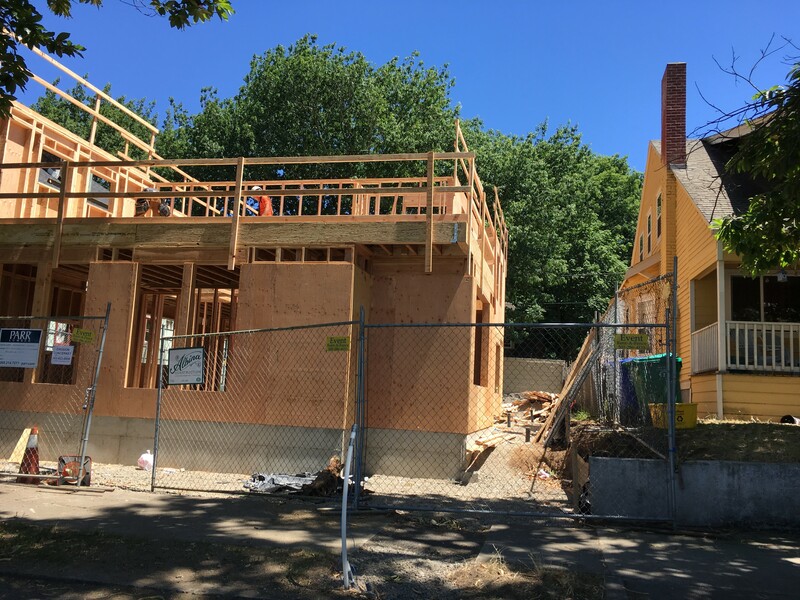 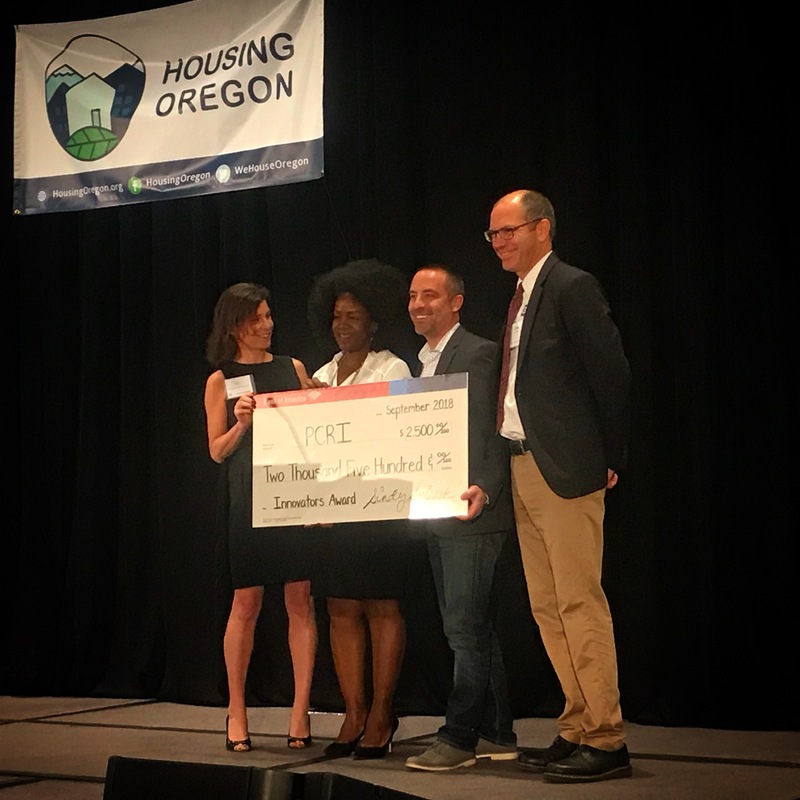 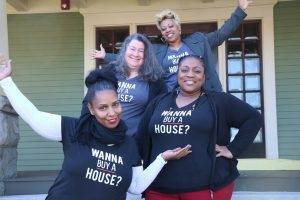 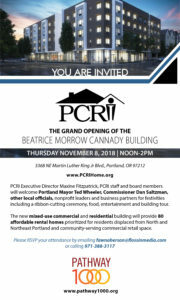 When complete in late-2018, the new homes will be sold to qualifying first-time buyers and will be prioritized for households displaced or at risk of displacement from North and inner Northeast Portland. 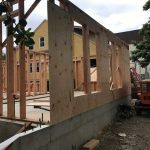 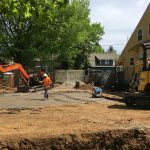 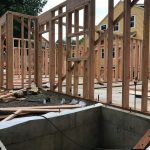 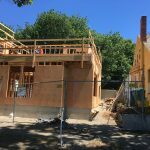 Neighbors and passers by have likely noticed significant activity at the site during the past few months as Albina Construction’s crews cleared the site, formed and poured the foundation, framed the homes’ walls. In addition, the City of Portland’s Urban Forester oversaw work performed close to the large tree next to the street, which was preserved and pruned to ensure it would safely clear the future homes. 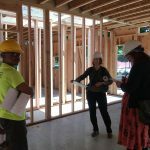 Youth in the POIC program joined Albina Construction on the jobsite in May 2018. 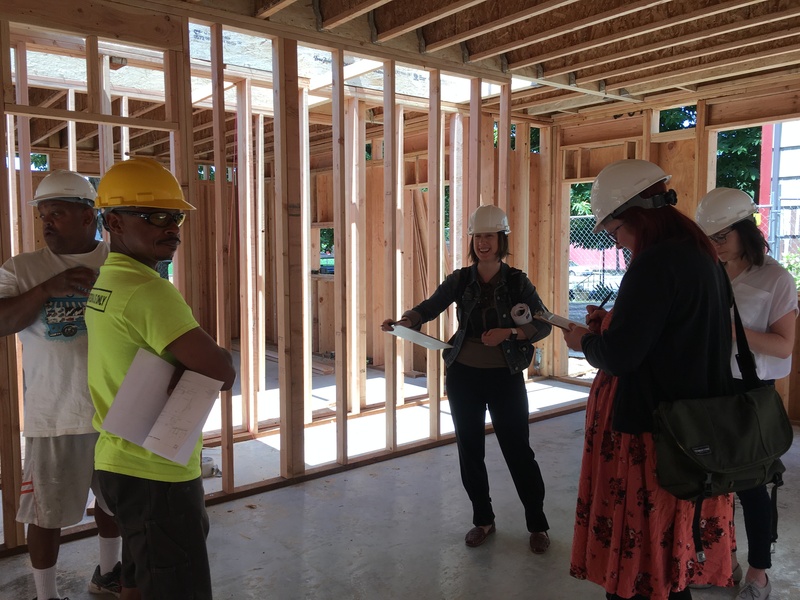 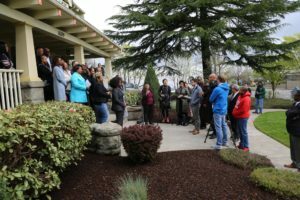 In late-May 2018, a group of students from the Portland Opportunities Industrialization Center (POIC) joined Albina Construction to learn more about the work happening at site. 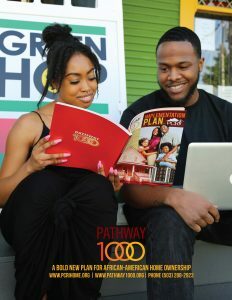 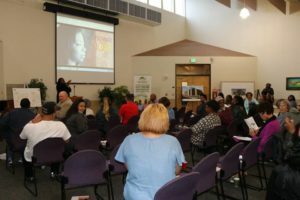 POIC provides education, job training and more for students enrolled in the program and is a key partner mentioned in PCRI’s Pathway 1000 Implementation Plan, increasing the participation of minority youth in good-paying construction trades. 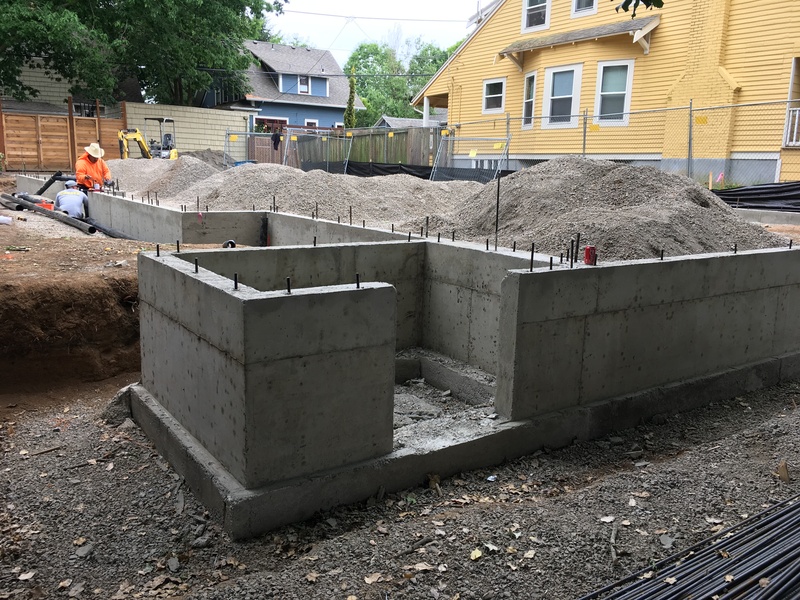 Four new 2- and 3-bedroom townhomes, certified to meet Earth Advantage green building standards, are being built on the site. 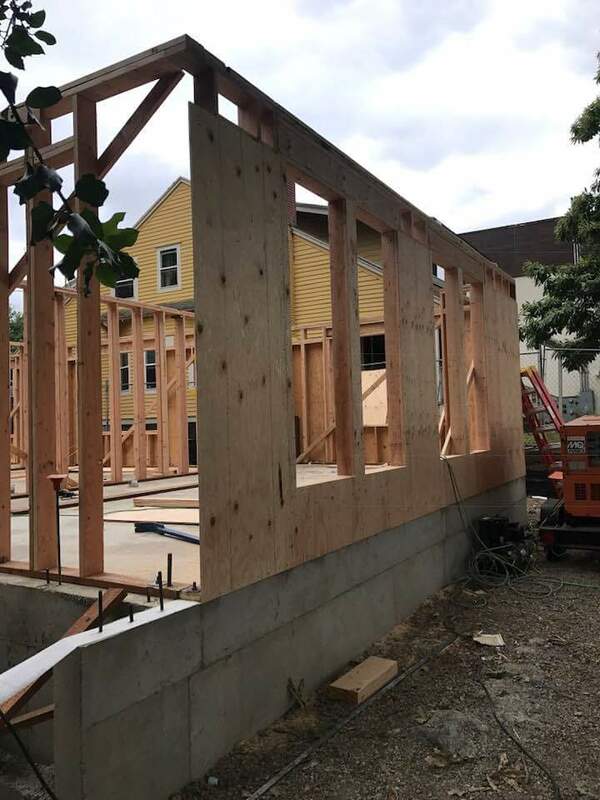 The homes will be two and three stories (for 2- and 3-bedroom sizes, respectively) and have been designed to fit with existing neighborhood scale. 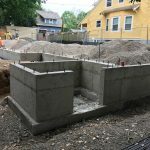 Front, rear and side yards and walkways help ensure reasonable separation from neighboring homes and maintain the scale and feel of the neighborhood. 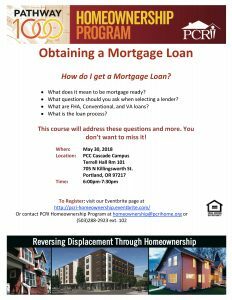 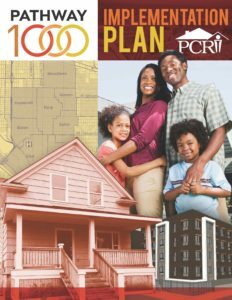 Additional information about PCRI’s Homeownership Initiatives can be found HERE. 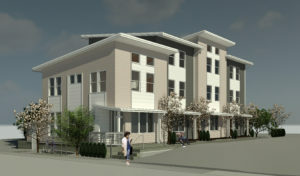 Prior updates and information about the Williams Townhomes can be found HERE. 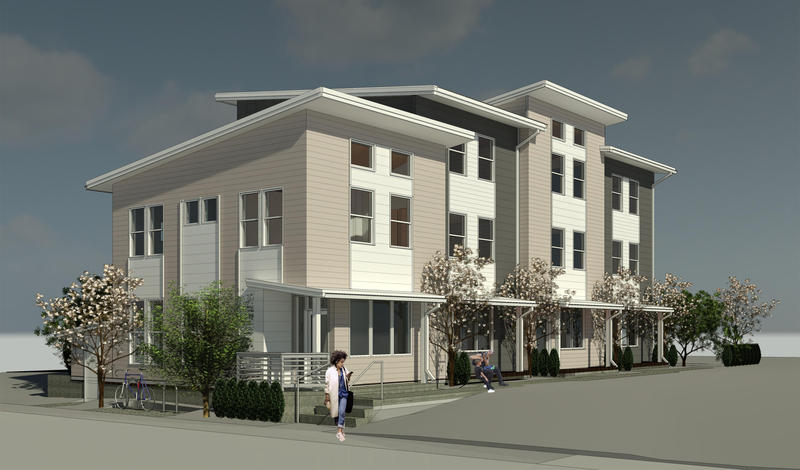 Completion of the four townhomes on N. Williams Avenue is anticipated in late 2018, with additional homeownership developments in N/NE Portland slated to begin construction in summer 2018 for completion in early 2019. 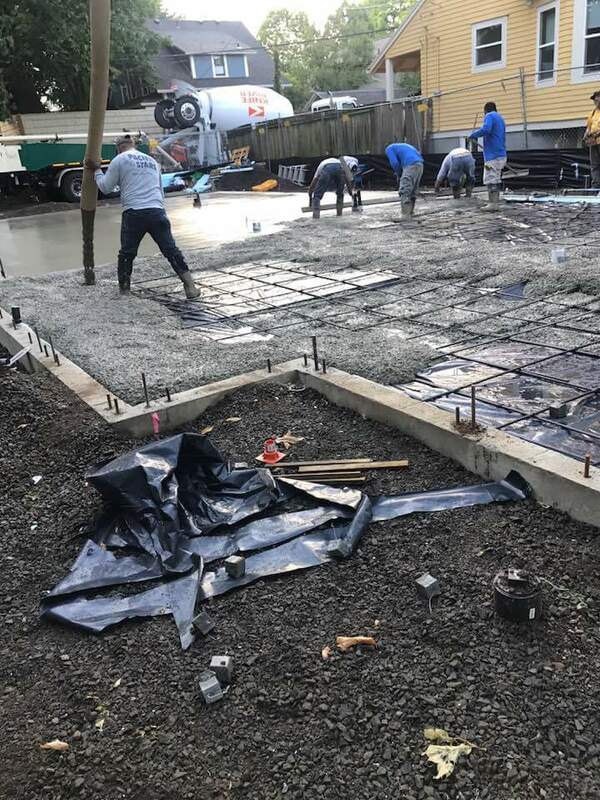 Click on the gallery below for larger images.